1. I’m worried my child won’t make any friends. The first few weeks of school are all about settling children into their new surroundings and getting to know each other. Teachers are very good at spotting children who perhaps don’t know many of the others, are shy or who just prefer their own company. In all circumstances, they will ensure your child is happy and included in everything that’s going on. By the end of the first half term, you’ll wonder what you were worrying about. 2. 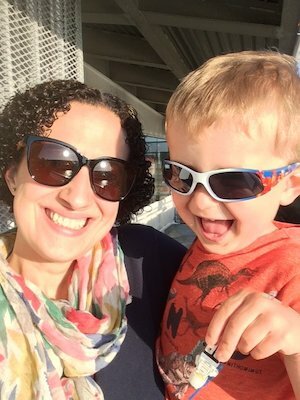 Does my child need to be able to read and write? Absolutely not. This is a huge focus for the first year of school, where children will learn letter names and sounds, and will soon be teaching you all about the wonders of phonics. 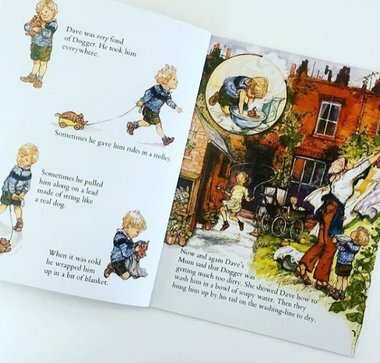 They will also start bringing home wordless reading books to share and create their own stories with you, progressing to books with words and simple sentences. It is helpful if a child can recognise their own name upon starting but not a necessity. 3. 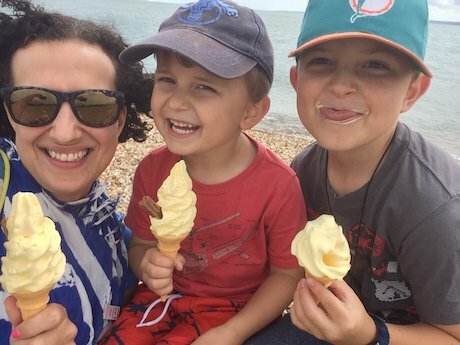 What if my child has an ‘accident’ when they’re at school? Early Years teachers are well used to children having accidents, particularly if they are engrossed in an activity or too shy to ask to go. Children will be shown where the toilets are and almost certainly be told to go whenever they feel the need. If they are a little late getting there, staff are trained to help a child clean themselves up in a supportive and appropriate manner. 4. My child won’t eat anything when at school. Peer pressure is a wonderful thing! I have watched pupils eat things at school, whether for snack or for lunch, which they would never normally eat at home. All schools currently offer free school meals for all children in Years R-2, where there are normally two or three main course options and a dessert. You can help your child by discussing the menu choices before they get to school each day so they know what they will like. 5. What if my child can’t get themselves dressed after P.E. sessions? You can give your child a head-start with this by encouraging them to help get themselves dressed at weekends and in the mornings before school. Have a few trial runs of getting into and out of uniforms and P.E. kits in the holidays, make sure nothing is too small or too tight, choose shoes and trainers with Velcro fastenings and don’t forget to put name labels on everything! Teachers will encourage children to have a go themselves before they step in and help. They may be slow, but dressing yourself is a life skill that your child WILL master. 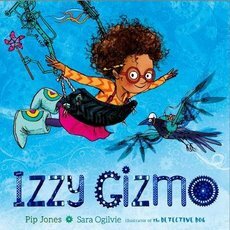 Izzy Gizmo by Pip Jones and Sara Ogilvie – a brilliant book about problem-solving, inventing and being resilient. Supertato: Run, Veggies, Run! 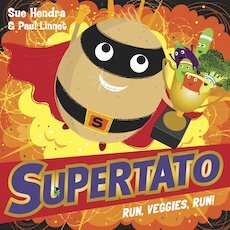 By Sue Hendra and Paul Linnet – The latest instalment in the hilarious Supertato series. It’s supermarket sports day and you can bet that Evil Pea is going for gold. 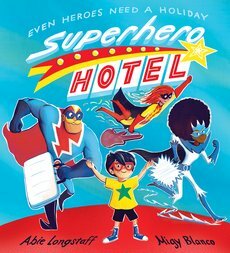 Superhero Hotel by Abie Longstaff and Migy Blanco – The superheroes are supposed to be relaxing and taking a break from saving the world, but they’re bored. And that’s when the trouble begins. 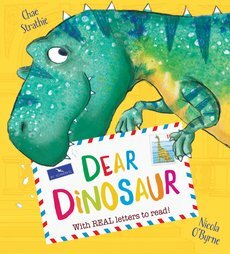 Dear Dinosaur by Chae Strathie and Nicola O’Byrne – Max and T-Rex are unlikely pen pals who both have a lot to learn from each other. Full of brilliant interactive letters and flaps. 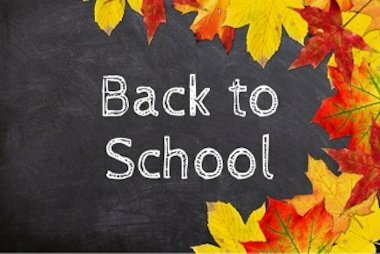 Whatever happens in those first few weeks, just remember to take the time to sit back, relax and watch your child achieve new things each and every day. Support them, take an interest in what they are doing and share their delight in the small things. Before you know it, your child will be finishing Year R and moving on to their next challenge.